Love this outfit! The collar on the top is so sweet and the studs on the jeans make the look so sassy! 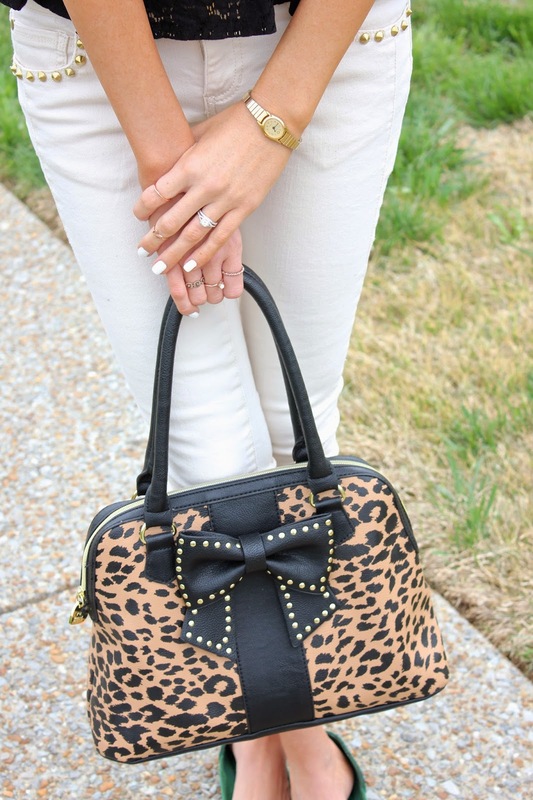 That leopard bag is fab! Great look! Thank you, Marianne, for your sweet comment! !